Donegal Day Tours – Bus Tours, Walking Tours or Entry Tickets to Visitor Experiences in or around Donegal and The Wild Atlantic Way. 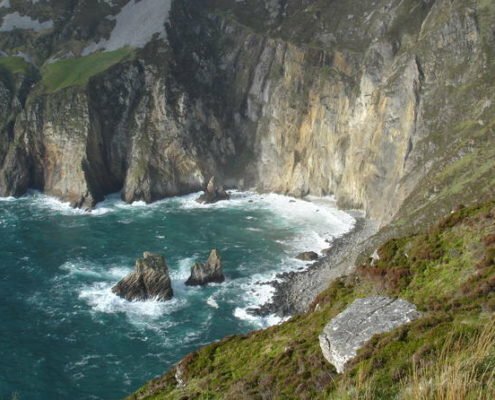 Discover the mountains of Slieve League, which are at a height of 609m, almost three times as high as the Cliffs of Moher! Walk to the summit of the mountains to have a spectacular view on the Atlantic, the Sligo Mountains and Donegal Bay.